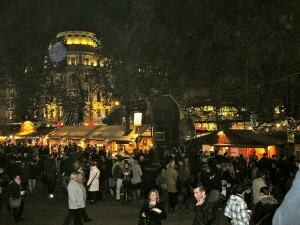 The 2015 Budapest Christmas Market in the city centre has opened its stalls in mid November 2015, awaiting the thousands of guests the market receives every year. 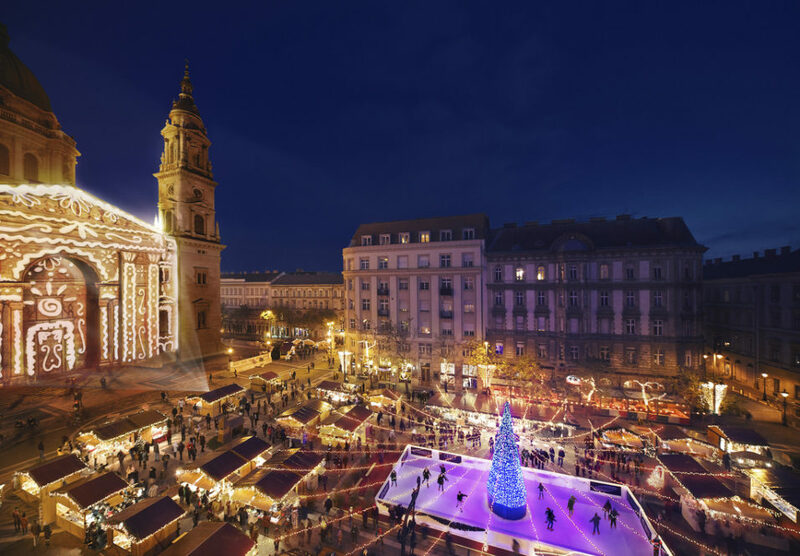 In fact, the Christmas Market on Vorosmarty Square is only the first Advent Fair in a series, as further markets will open in the course of November (Nov 21, the Christmas Market on Varoshaza Square, Nov 27 the Christmas Market by the St Stephen’s Basilica). 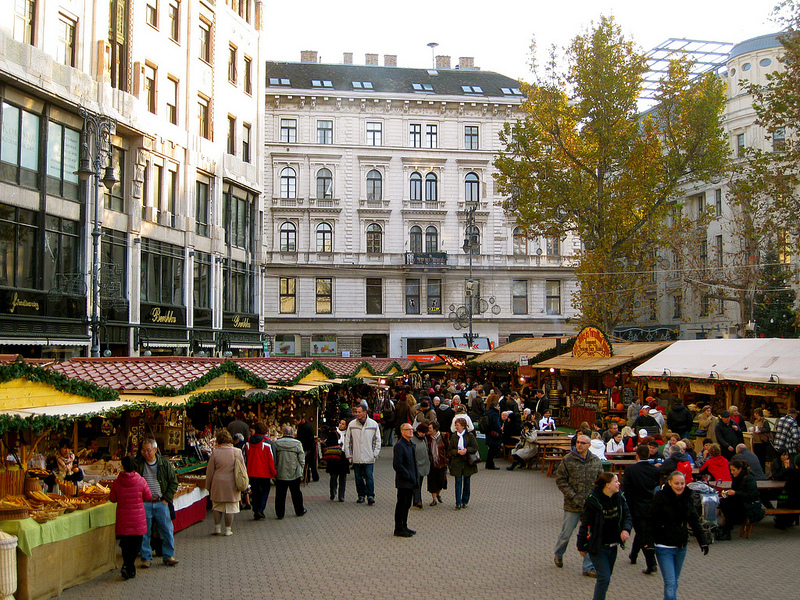 The Christmas Market, as usual, will feature over a hundred carefully selected crafts stalls representing the traditional and modern artisan crafts of Hungarian artists. 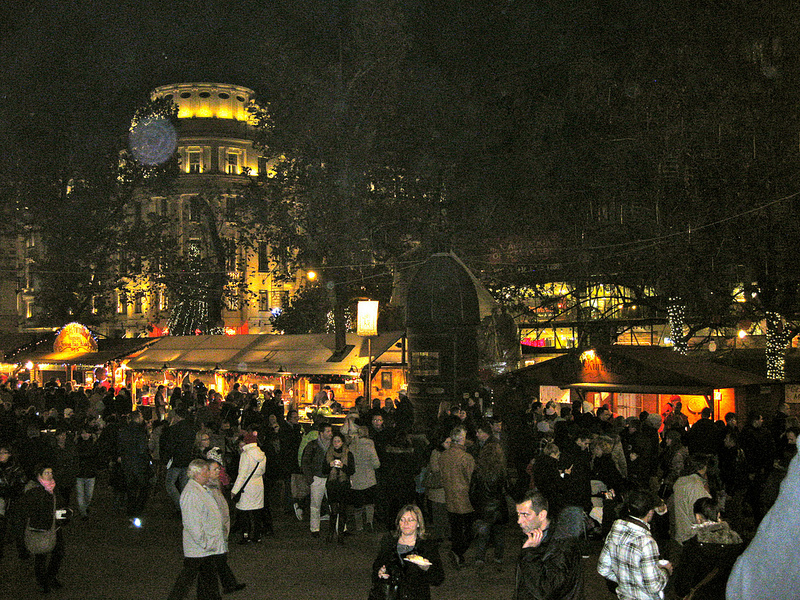 Also, you can taste winter street foods, like Roasted Chestnuts, Langos Flatbread, Pork Knuckles, sweet and enticing Chimney Cakes, as well as traditional winter meals like stuffed cabbage, hearty goulash soup, which will keep you warm on the chillier autumn and winter days of the Christmas Market period, from November 13, 2015 to January 6, 2016. Children’s activities and entertainment at the Christmas Market will be at weekends. 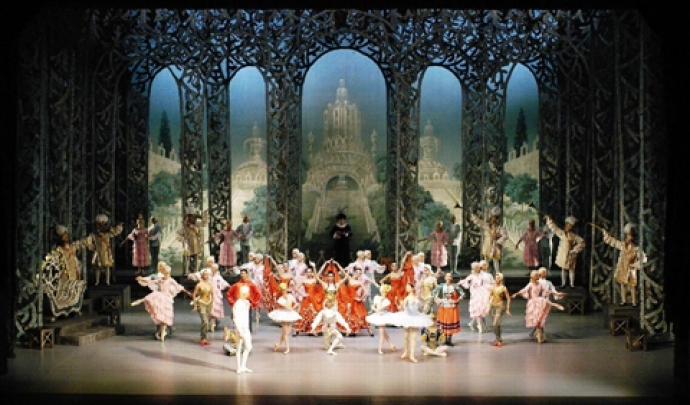 Puppet theatre, Dance and Music Shows for Kids are accompanied with handcrafts workshops (basket weaving, beadwork, felt making & decoration, gingerbread making, etc.) 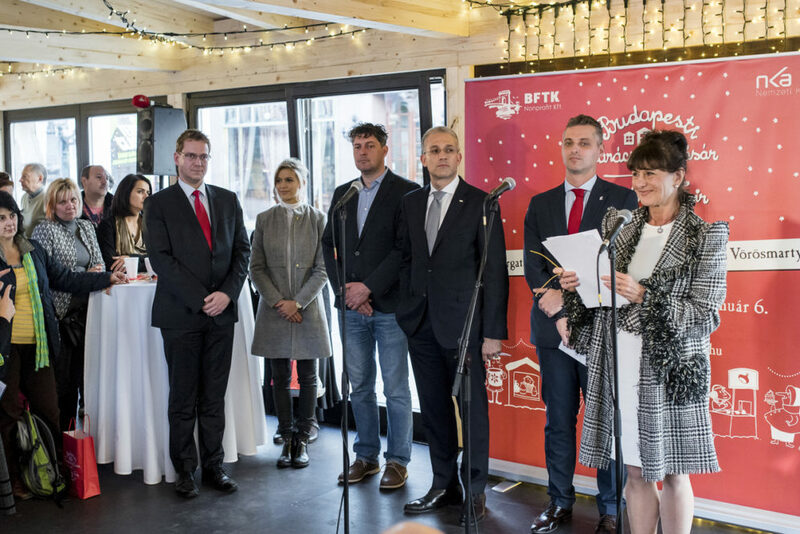 in the Hut called Hutte set up on the market square from Dec 4, 2015. Sat – Sun: 11 am – 4 pm. The city’s tourism program is the Budapest Winter Invitation with various cultural events and tours, as well as discounts for certain attractions in Budapest with the Budapest Cards.